“This is not an April fool’s joke. 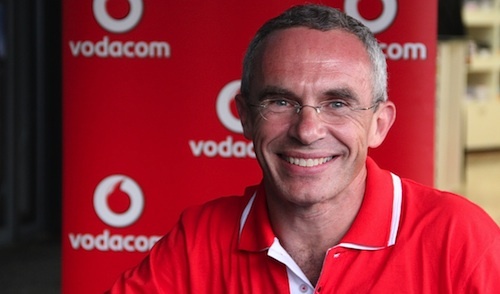 This is for real.” With those words, Vodacom Group CEO Pieter Uys took the wraps off Vodacom’s new red and white branding on Friday evening, bringing it in line with the corporate colours of its UK parent, Vodafone. In announcing the group’s conversion from its traditional blue and green to Vodafone’s red, Uys said the new corporate image was underpinned by a restructuring at the organisation, which included a flattening of its management structure. Uys said he had moved out of his plush office at the group’s head office in Midrand and into an open-plan environment. Uys said no decision had yet been made about who would replace Vodacom SA MD Shameel Joosub, who began his duties as the CEO of Vodafone in Spain on Friday. And the best thing Vodacom could do was go red? So proud to be part of this brand! @PB – what else would you expect? Its part of a global alignment for Vodafone brands. @PB – red is a sign – what comes with it is what’s really important! Part of the Vodafone buyout was an agreement the Vodacom name would stay.